The World Zionist Congress, that is. Patience. All will be explained. 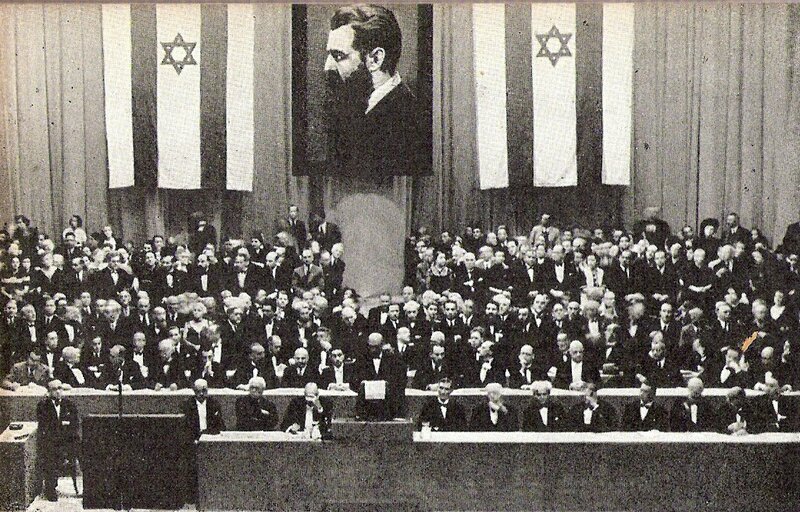 Founded in 1897 by Theodor Herzl, the WZC started out as a global gathering of Jews devoted to creation of a Jewish homeland in Palestine. It met every few years to elect officers of the World Zionist Organization, which functioned as a kind of state-in-formation during the years of the British Mandate. After creation of the State of Israel in 1948, the WZO’s focus shifted to promoting immigration to Israel and connecting Jews around the world – particularly young people – with Israel. Today it oversees a budget of about $30 million, and has joint authority over the $475 million budget of the Jewish Agency. Leadership and focus of the WZO is decided every few years at a World Zionist Congress, with the next Congress scheduled for Jerusalem in October 2015. Participation in the Congress is divided up by country, based on the size of the Jewish population in each country. So Israel gets 38 percent of the seats, the U.S. gets 29 percent, and other Diaspora countries get 33 percent. We’re a Big Kahuna! The U.S. delegation in turn is determined by elections, with different movements within American Judaism fielding slates of candidates. The slate that won the most votes in the last WZC in 2008 was from ARZA, representing Reform Judaism. This makes sense since, numerically, more American Jews are affiliated with Reform synagogues than any other set of institutions. All very interesting, but you are probably still wondering what I’m doing in the middle of this. I was approached in late 2014 by by an old friend from Hashomer Hatzair, the socialist-Zionist youth movement that was such a key part of my teenage years and formed the base for much of my Jewish and political identity. 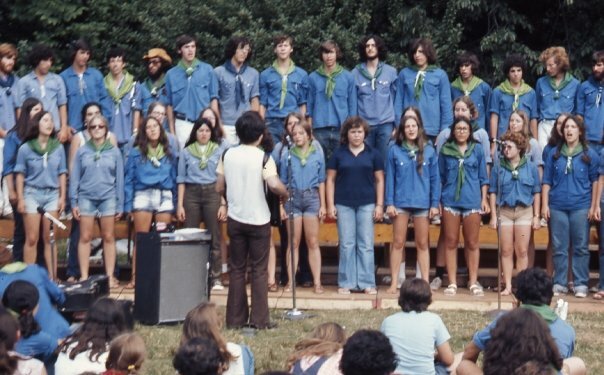 At Hashomer Hatzair’s Camp Shomria in the mid-70s. I am in the second row, second from right. Photo by Maria Kontos Barrett. She asked if I would serve as a delegate for Hatikvah – the Progressive Zionist slate. 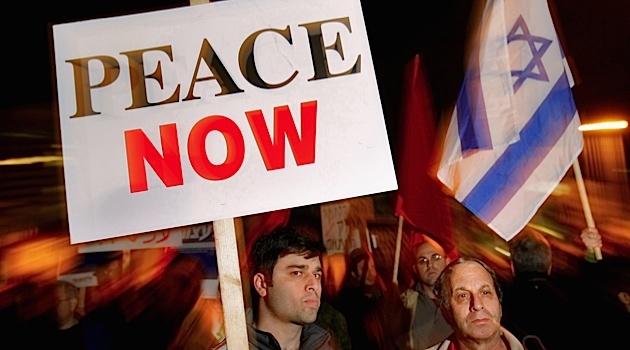 Hatikvah represents folks who support the left-of-center Labor and Meretz parties in Israel. It also includes alumni of Hashomer Hatzair and Habonim-Dror, the kibbutz-related youth movements. And this year it has added leaders of the New Israel Fund, J Street, and Americans for Peace Now. In short, it’s the central gathering spot for American Jews who share a vision of Israel as a socially just, democratic Jewish state that is committed to a negotiated two-state solution with the Palestinians. The name “Hatikvah” (hope) is fitting. We carry on the founders’ hope that Israel will be a just and ethical light among the nations. We persist in our own hope – despite more setbacks than anyone can count — that Israel can reach a negotiated peace agreement with security for its own residents and self-determination for the Palestinians. I haven’t run in any kind of election since 6th grade student council, when I campaigned via “win with Wendy” posters in magic marker. And these days people spend tens of millions of dollars to get elected to the U.S. Congress. I was a little worried about what might be involved in being on the Hatikvah slate. In reality, though, I don’t have to do much. (Except spread the word like I’m doing here!) The slate is headed by big names like folk singer Theodor Bikel, J Street founder Jeremy Ben-Ami, New Israel Fund Executive Director Daniel Sokatch, Princeton political scientist Michael Walzer, and Randi Weingarten, President of the American Federation of Teachers. There are about a hundred people on the slate in total. I am WAAAAY down at the bottom. So unless the slate goes as viral as a stupid-cat-tricks video, there is no way it will win enough spots for me to be seated. It’s not likely I will have to go to Jerusalem to take part in the Congress next October. My role is less like Hillary Clinton than like a neighborhood precinct captain trying to get out the vote. So… I’m asking you to vote! You need to be Jewish. You need to pay $10 to cover the cost of the election, or $5 if you are under age 30. You need to be at least 18 years old and a citizen or resident of the US. You need to support the Jerusalem Program, a basic set of principles about Israel being the homeland of the Jewish people. You can read the principles here. In the last set of elections, only 80,000 American Jews voted. So in fact, this is a situation where a relatively small number of votes can have a big impact. YOUR vote can have an impact. American Jews – especially those of us on the left side of the spectrum – complain a lot about Israeli policies. We complain about the Israeli government not listening to us. Here is a chance where we are being invited to make our opinions heard! Granted, the WZC is not going to determine the future of the Middle East. The upcoming Israeli elections will determine who runs Israel for the next few years — much more important than the WZC. But the WZC does have a say over those $400-500 million that are spent on education and settlement. And the composition of the WZC sends an important message to Israeli policymakers about what American Jews think. Do you believe that funds for new housing should go to needy areas inside Israel proper, rather than to settlements on the West Bank? Do you believe that Israel should remain a democratic society that respects the civil rights of its minority populations? Do you believe that the Israeli government should provide equal status to all streams of religious Judaism, and not treat Orthodox Judaism as the one “official” Judaism? Do you believe that Israeli women should have equal rights to travel, dress, work, and pray as they want? Do you believe that Israeli should do more to provide economic opportunity and a safety net for its poorest citizens? Do you believe that Israel needs a two-state solution for its survival as a Jewish and democratic state? And that it desperately needs leaders with the courage to pursue that goal? The Hatikvah slate in the WZC election is a way to make your voice heard on all these points. 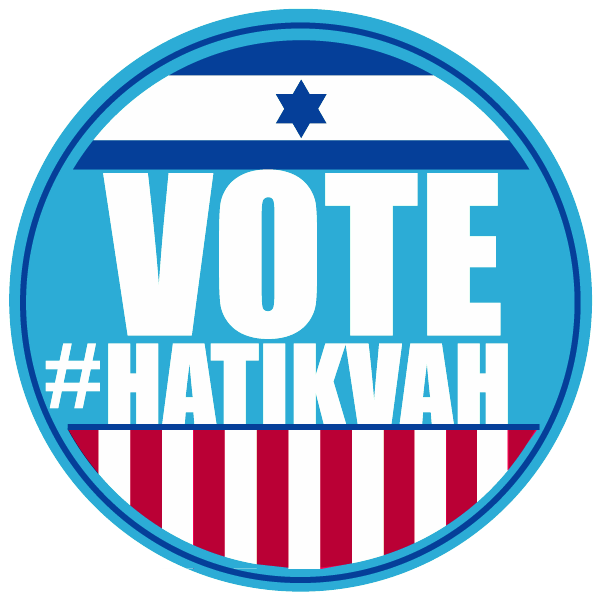 I’d love it if you choose to vote for Hatikvah – the slate representing the values of historic Labor Party leaders like David Ben-Gurion and Yitzhak Rabin, the legacy of the kibbutz movement, the energy of progressive American Jews. ARZA and Hatikvah share a commitment to religious pluralism and women’s rights in Israel, and to a two-state solution. In fact, Hatikvah formed a working coalition with the Reform and Conservative slates during the 2006 Congress. Here’s how I personally might decide between those two slates: If my primary concern were religious pluralism within Israel, I would vote for ARZA. If my primary concern were reaching a secure two-state peace agreement with the Palestinians, I would vote for Hatikvah. Voting takes place online. It starts on January 14, 2014 and goes through April 30. Click here to register, view a list of the various slates, and then vote. Click here to learn about the Hatikvah slate and its platform. Click here to read about ARZA, the Reform Zionist slate. I know, our lives our very busy. Take five minutes and vote right now before you forget! Then please share this post – or the slate of your choice – with your friends. feminist find fulfillment as a Bat Mitzvah in her fifties? Can she reach her lifelong dream of becoming a successful novelist? And how the heck do you reinvent yourself after your industry - newspapers - implodes? Are you new to this blog?